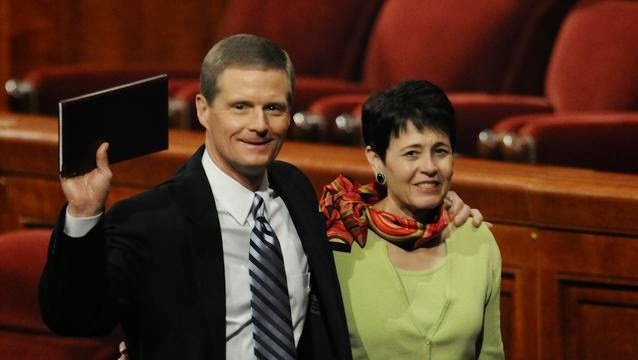 With additional temples announced in Africa, Wyoming and Provo in a recent General Conference, the announcement and proliferation of temples made me ponder this sermon by David A. Bednar in April 2009. Shortly after I was called to serve as a stake president in 1987, I talked with a good friend who recently had been released as a stake president. During our conversation I asked him what he would teach me about becoming an effective stake president. As a fellow "questioner," I love his thoughtful inquiry of a stake president. My wife tells me I have "Mark questions" that are always a little deeper than the shallow waters people like to tread in social conversations. For example, "What are five things you want to do before you die?" or "What would you rate your school day on a scale of 1 to 10?" (what I ask my 6 year-old every day) or "If you could ask God one question, what would it be?" It's comforting to know that there is at least one more person out there who seeks meatier interactions. Check out the rest of the talk and see what the stake president said. For you bishops, bishopric members, stake presidents, stake presidency members, temple presidents, and temple presidency members out there, past or current, what advice would you add?